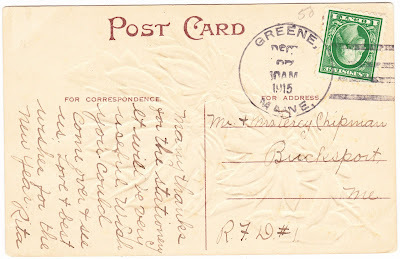 Papergreat: 1915 post-Christmas postcard: "Many thanks for the stationery"
"Many thanks for the stationery. It will be very useful. Wish you could come over & see us. Love & best wishes for the new year. 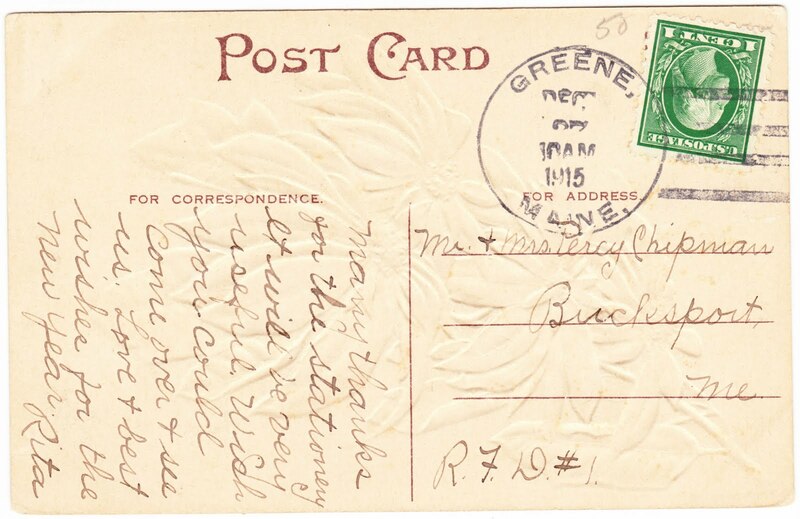 Rita"
Greene, where this postcard was postmarked, and Bucksport are about 100 miles apart in southcentral Maine. Bucksport is the more interesting of the two towns. That area's first inhabitants were members of a prehistoric fishing culture known as the Red Ocher people. They poured red "paint" in their graves along with stone tools and weapons. Some episodes in Bucksport's history might have served as inspiration for the TV show "Dark Shadows," which was based in the fictional Maine town of Collinsport. In 1763, Colonel Jonathan Buck settled a plantation that grew to include 21 families. Legend states that Buck burned his mistress for being a witch, and that she promised to return and seek vengeance on the town. It is believed that Buck's tomb is cursed. In 1876, three residents were murdered and their family farm burned to the ground. The authorities soon arrested a sea captain, who was found guilty despite the lack of witnesses, evidence or motive. In 1898, a woman named Sarah Ware disappeared. Her beheaded corpse was found two weeks later. The case was never solved. 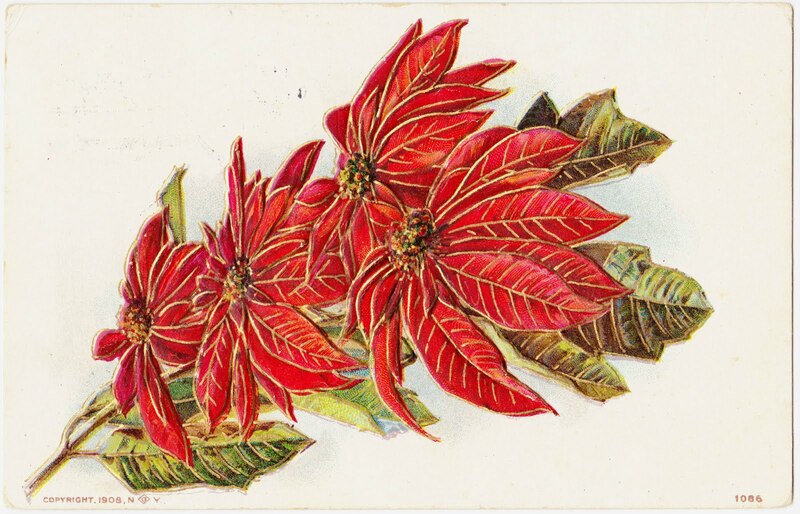 And I think that officially makes this the least-cheery Christmas ephemera post of the month. Stephen King would be proud.